Functional, stylish and suitable for almost all architectural styles, frameless glass doors give the illusion of more space, even in tiny rooms. Their popularity is in part because they require very little maintenance and provide a gleaming finish and clean cut lines that only require a simple spray and wipe once a week or so. Our team specialises in commercial glass services for office buildings, office parks, shopping centres, malls, school and stores. 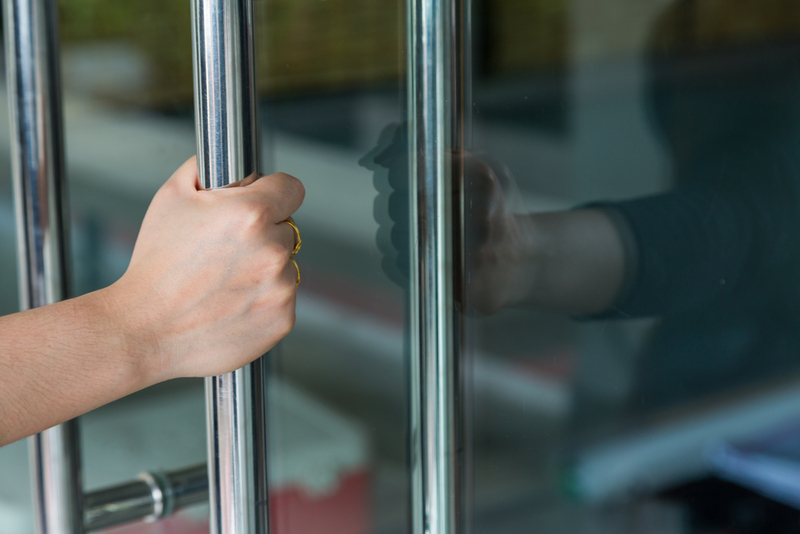 We can custom-cut our frameless glass doors to suit your business needs to create a welcoming, trendy entrance to your store, office or meeting room. Our team of expert glass technicians can cut and install frameless glass efficiently to fit your space. We take the time to provide clients with the best advice when it comes to choosing the right glass for your space. Contact us for a free, no obligation quote today. Interested in Frameless Glass doors?